Polymerizing monomers into periodic two-dimensional (2D) networks provides structurally precise, layered macromolecular sheets that exhibit desirable mechanical, optoelectrotronic, and molecular transport properties. 2D covalent organic frameworks (COFs) offer broad monomer scope but are generally isolated as powders comprised of aggregated nanometer-scale crystallites. 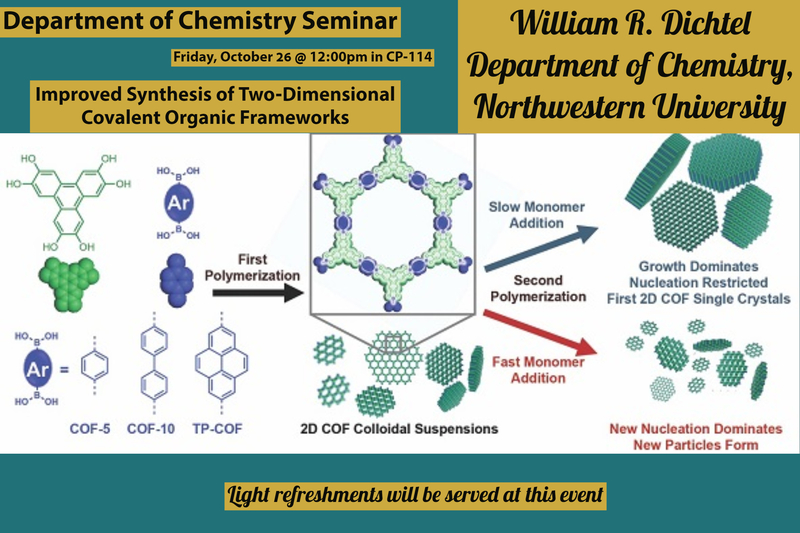 I will discuss 2D COF formation using a two-step procedure, in which monomers are added slowly to pre-formed nanoparticle seeds. The resulting 2D COFs are isolated as single-crystalline, micron-sized particles. Transient absorption spectroscopy of the dispersed COF nanoparticles provides two to three orders of magnitude improvement in signal quality relative to polycrystalline powder samples and suggests exciton diffusion over longer length scales than those obtained through previous approaches. 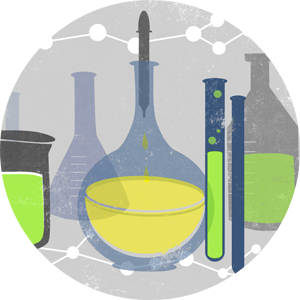 These findings will enable a broad exploration of synthetic 2D polymer structures and properties.